A new feature could be coming to CynaogenMod in the near future that strengthens personal privacy with a single checkbox. 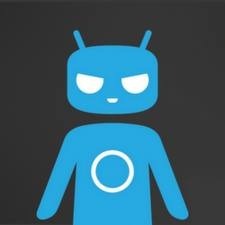 It's called Run in Incognito Mode, and it's being developed by Cyanogen himself, Steve Kondik. It's a simple feature that could change how comfortable you are with your apps. Return empty lists for contacts, calendar, browser history, and messages. No fine-grained permissions controls as you saw in CM7. It's a single option available under application details. This is enabled on a per app basis, so you don't have to sacrifice the functionality of your device just for peace of mind. 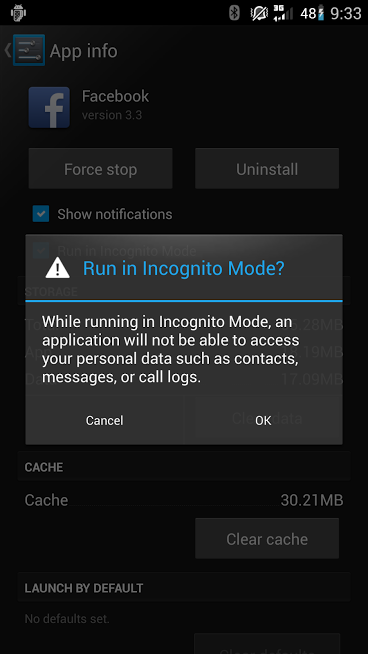 Kondik also points out Incognito Mode is not going to block ads or spoof IMEI numbers. It's only for keeping your personal data private. One caveat, an app running with root access can still do whatever it wants.